In December of 2012 the media was awash with speculations about the approaching solstice and the meaning of the Mayan prophecies. Countless people planned to celebrate the arrival of a new age. 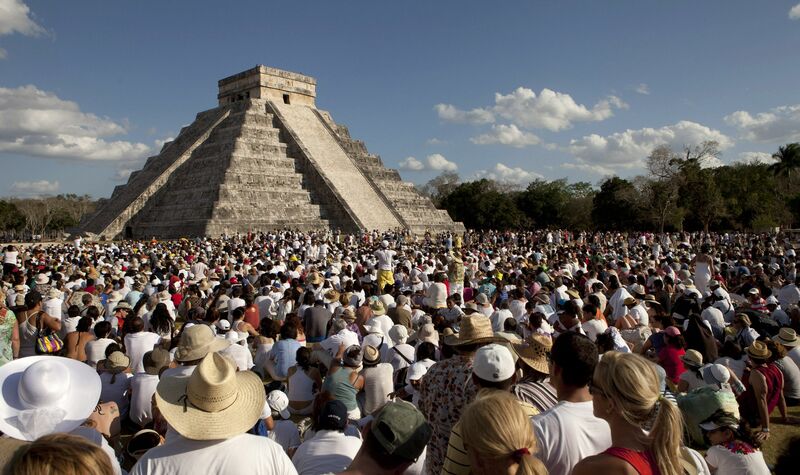 Tens of thousands travelled to the temples in Mexico’s Yucatan Peninsula. 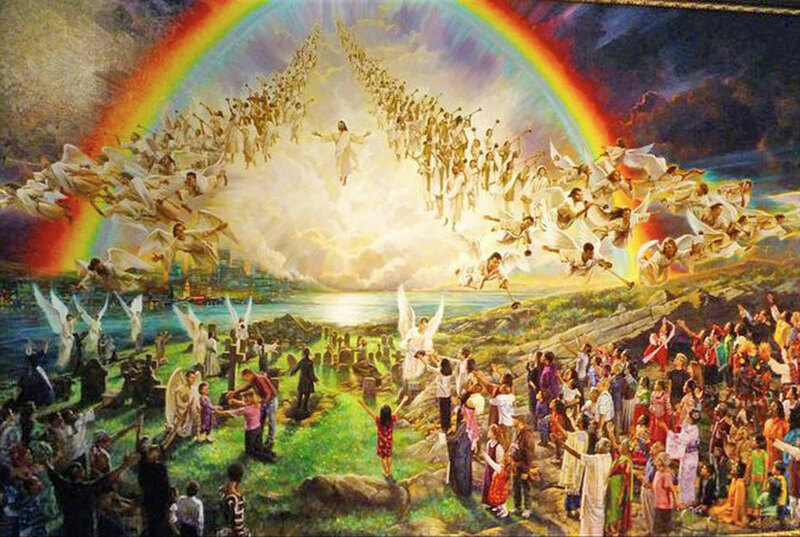 Meanwhile, millions of fundamentalists were actively hoping for the apocalypse and expecting to be “raptured” into Heaven. Now that two months have passed and most of us have experienced neither heaven nor hell, perhaps it’s time to reconsider these expectations and why so many continue to obsessed with them. What does it mean to be at the end of an age? What does it mean to end? To honestly approach the question, we must step away from literalist thinking (whether New Age or fundamentalist) and accept that in biological, ecological, mythological or indigenous initiatory terms, to end is nothing other than to die. Only when death and decay are complete can they be understood as the necessary precursors to fermentation and potential new growth. Consider the biological notion of imaginal cells. There is no structural similarity at all between a caterpillar and a butterfly. The caterpillar (or larva) eats continually, growing through a series of molts. Eventually it stops eating and spins itself a cocoon or chrysalis. Then it literally digests itself, releasing enzymes that dissolve all of its tissues into a soupy mush. But certain dormant cells – imaginal cells – survive the digestive process. These cells use the protein-rich soup all around them to fuel the rapid cell division required to form all the features of an adult butterfly. Initially, each operates as a single-cell organism – entirely independent of the others. The caterpillar’s immune system even identifies them as threats and attacks them. Regardless, the imaginal cells multiply, resonate with the same frequency, communicate, recognize each other, stop acting as individuals, and organize into clusters until there is a tipping point that overwhelms the immune system. The caterpillar body then becomes a nutritious soup for the growth of the butterfly. These imaginal cells hold all the potential for the future, but initially they act separately, before combining as one to create something that is a great improvement on their previous existence. So it should be no surprise that in ancient Greek the words for soul and butterfly are the same. 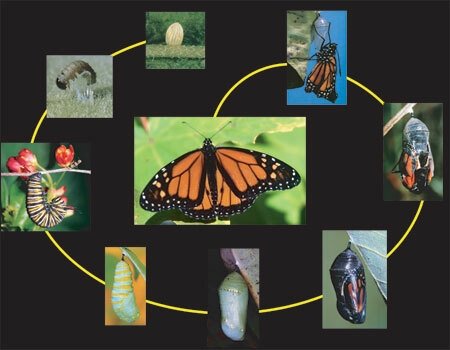 The entire process, metamorphosis, is Greek for “change of form,” but it implies to change utterly. We are living in the last phases of the Judeo-Christian-Islamic mythic universe. For over a thousand years, these stories nourished the individual and connected him/her in meaningful ways to the community. Over a second thousand years, they began to gradually lose their hold on the psyche. Our demythologized modern world continually searches for that sense of meaning but only finds literal substitutes in isms: nationalism, patriotism, fundamentalism, alcoholism, rationalism, scientism – and apocalypticism. And the factory jobs that sustained the strongest ism of them all, consumerism, are gone, never to return. Even if they still existed, the age of unbounded industrial growth, fueled by the myth of infinite resources, is also concluding. So is the “American Century.” Where has any empire in history gone but down once it reached its peak? Great fear lies just below our superficial cheerfulness. I don’t simply mean the fear of the “Other” that elites have manipulated for centuries. Many live as if there will be no future. Many others are obsessed with end times or with horrifying secular endings such as global warming. We can hardly minimize the actual dangers we confront. Yet to examine the fear, or, if we were honest, the anticipation that many obviously display is to approach the psychic energies that actually drive us. The word “apocalypse” comes from a Greek root that can mean “to uncover, disclose, to lift the veil from what had been concealed.” Carl Jung regarded apocalypse as an archetype because visions of the end are not limited to Christians; indeed, they occur in many cultures where revelation and destruction lead – possibly – to renewal. In myths and rituals that predate the Christian end-times by millennia, tribal people celebrated the winter solstice (or in Celtic areas, Samhain, the end of summer) by extinguishing and rekindling fires, welcoming the temporary return of the dead, acknowledging the community’s sins, feasting to excess and retelling creation stories. They re-enacted primordial chaos in order to revive a world in decline. Storytellers told of deteriorating values, darkness, floods and conflagrations. Most indigenous cultures, however, saw these events within a cyclic historical imagination. Later, our European ancestors regarded the end of the year as a dangerous period when the calendar literally ran out of days, the landscape was blanketed by night and cold, and nobody could be truly certain that the heavens would usher in a new year. One attempt to make sense of this period was the Christian calendar, which bracketed the strange, final days of the year with two holidays – the birth of Christ (December 25th) and Epiphany (January 6). Our indigenous souls know something else: “End times” is also a metaphor for the archetypal cry for initiation. It is our own transformation – the death of who we have been – that we both fear and long for. The soul understands that there is no initiation into a new state of being unless we fully accept the necessary death of what came before. …the archetype of apocalypse describes a psychological condition or state of mind that becomes more activated during times of tragedy and loss and when radical change is predominant…Often apocalyptic prophecies reveal most about those having the revelatory experience…A psychological rather than a religious interpretation would suggest that the (prophetic) voice comes from the unconscious…. This is not to deny this huge and painful transition. But what do we do when we face the facts of great endings, which we experience emotionally as fear of death and ideologically as apocalypse? The proper response is to fully engage in the universal experience of extended mourning; indeed this is the central focus of the last chapter of my book. But once again recall the meaning of apocalypse: to lift the veil. At the end of an age we have the opportunity to see truths that have been veiled behind outdated myths. In mourning and letting go of what is dying, we can discover new (or much older) truths. Remembering the Celtic proverb – “Death is the middle of a long life” – we can see more clearly for a while and gain the strength and courage to support what is struggling to be born. We need to acknowledge the mythic sources of our dilemma. After all, isn’t the literal loss of species an expression of the more fundamental, symbolic collapse of the creative imagination? And hasn’t that breakdown invited the paranoid and predatory imaginations to fill the gap? Long-term sustainability requires changes in consciousness as fundamental as those that occurred in the long transition from the indigenous world to the modern. This is both bad news and good. Such changes took millennia in the First World to be completed, but only a few generations in the Third World. Perhaps these more recent transitions can be altered or channeled toward a sustainable future. Perhaps there is much positive potential, as the ecstatic solstice dancers at the Great Pyramid of Chitzen-Itsa proclaimed. The rule of uninitiated men underlies all of modernity’s ills. But this story is slowly changing, and in offering our gifts to the world, we can facilitate its renewal. The elders say that there is still time to make all decisions with the wellbeing of the next seven generations in mind. This kind of thinking must be our guide, instead of either falling into depression or blissing out. We are called to attend the funeral of patriarchy, to mourn the dying King who is nothing other than who we thought we were. Only then can we celebrate his rebirth in equal consort with his Queen, who is the Earth itself. This entry was posted in Uncategorized and tagged Barry's Blog # 50: The End of the World. Bookmark the permalink. Love it. The Veda’s and Yin-Yang science wrote bout this phenomena with surgical precision. For awakened ones, this is a matter of metaphysical repetition and not of renewal.